Building a better way to see the USA in a Chevy Truck! 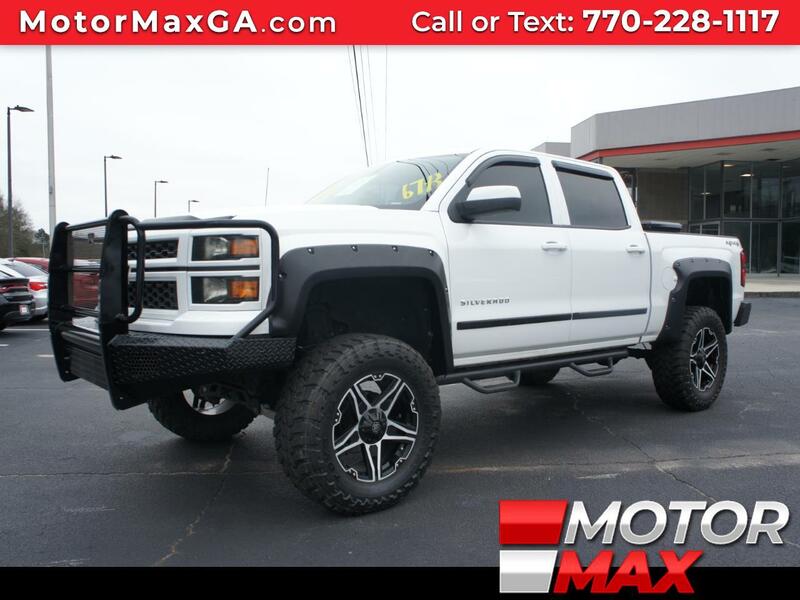 Find new roads with this 4x4 with only 67k miles it comes with Cruise Control, Automatic Transmission, All Power Features, Dual Exhaust, Tow Pkg, Step-bars and so many more features to list. Chevy makes good things happen! Putting you first keeps us first--you will not be disappointed. Today’s Chevrolet—Live It!!! With a large inventory and wide selection of models our GOAL is to help you make a CONFIDENT decision and buy the vehicle that's RIGHT for you! All of our vehicles come with a Carfax buyback Guarantee. Our vehicle service contracts provide you with peace of mind so you know that when unexpected repairs are required your wallet is protected. Vehicles have a lot of parts and unfortunately sometimes they break. We offer easy affordable protection and these benefits give you peace of mind and keeps you on the road. Message: Thought you might be interested in this 2014 Chevrolet SILVERADO.